New Delhi: No, if you think that the ‘Papa Don’t Preach’ hitmaker is no longer among us, you would just have fallen victim to the latest prank that has been doing the rounds on Twitter. Apparently, ‘RIP Madonna’ is a trend that has been begun by fans of Lady Gaga, aka ‘little monsters’, in an act that is reminiscent of the revenge of the fallen. 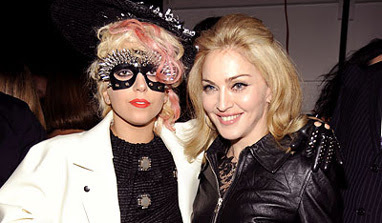 Madonna and Lady Gaga were recently in news together after the latter imitated the Queen of Pop in a manner that was slammed as derogatory. And Lady Gaga’s fans have now unleashed their anger against Madonna by beginning a trend, ‘RIP Madonna’ on Twitter. Some of the tweets read, “RIP Madonna? RIP your sense of humour.”; “RIP Madonna? stupid people. She`s still beautiful and strong at 53, can`t wait to see your fave at her age.”; and so on. Fans of both the artistes have lashed out at each other over the trend, and seems like it is here to stay for a while. And meanwhile, yes, the Queen of Pop is still around, and doing really well!